Snow in motorsport is a rare thing - well, unless it’s ice racing, or select rounds of the WRC. 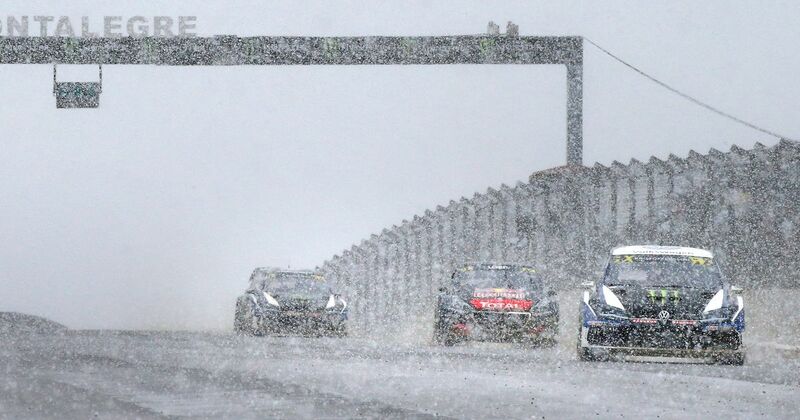 But it’s not often that it starts snowing in the middle of an actual race! Thankfully this happened in the already crazy world of World RX so it didn’t mean any stoppages and the drivers ploughed on with the racing regardless. The flurry began during the second semi-final and by the time of the final, it had become a full-on blizzard as conditions became increasingly tricky. It wasn’t the closest affair but there was still plenty of action. Plus, well, it looked epic. Johan Kristoffersson mastered the snow and slush to take his second consecutive win of the season and, just like in Barcelona, Sebastien Loeb followed him home in second.